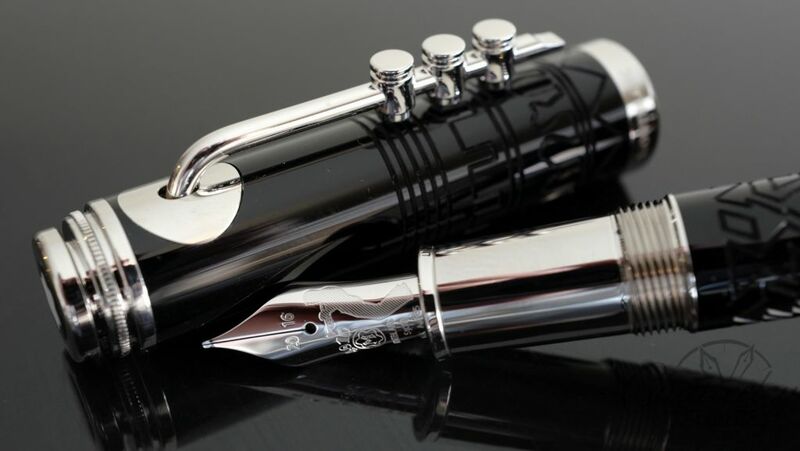 Some of the most sought after Montbalncs are the PL series pens. These pens do not come around often. The celluloid on this pen is amazing! This is a number 4 sized pen and its filling system is a button filler. The blind cap unscrews and then you press down to fill… Trim is very good on this pen and there are no issues with the clip or ring. 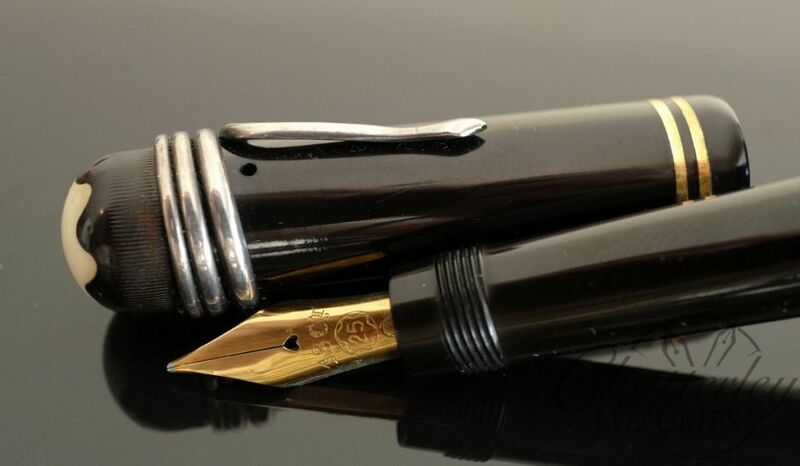 Engravings are crisp and on the blind cap it says 124 PL and EF witch matches the semi-flex Extra Fine nib. The 1XX line is the most sought after and as it was the most expensive and to this day is still being used on the 144/146.. And so on. 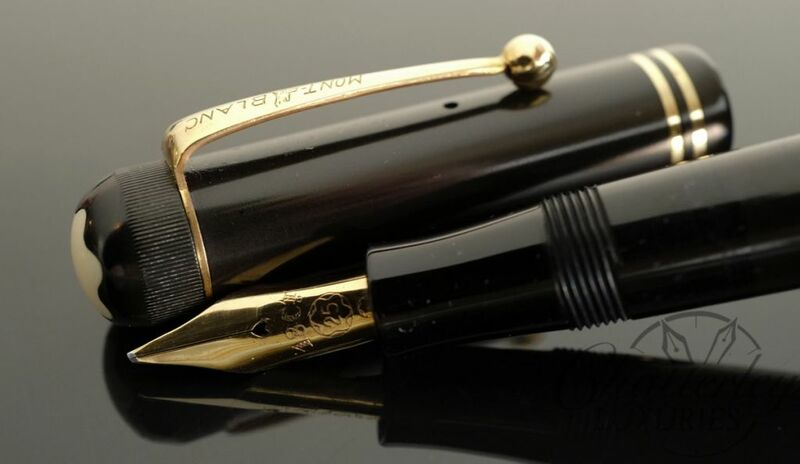 PL pens in the 122-128 range is some of the most collectible and rare pens out there. 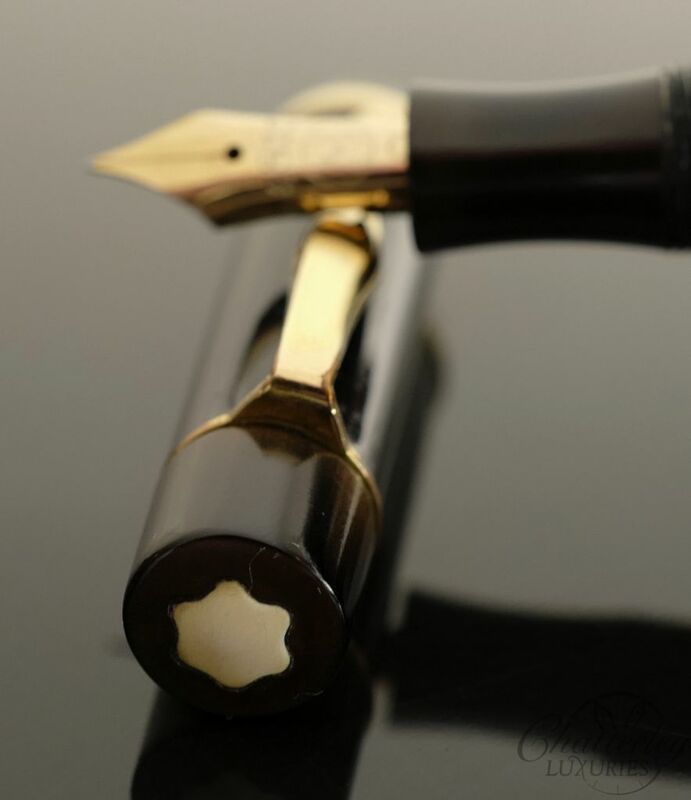 This pen is fully restored by Osman Sumer and is in perfect working condition.